Nuclear power has once again withstood threats from Mother Nature. 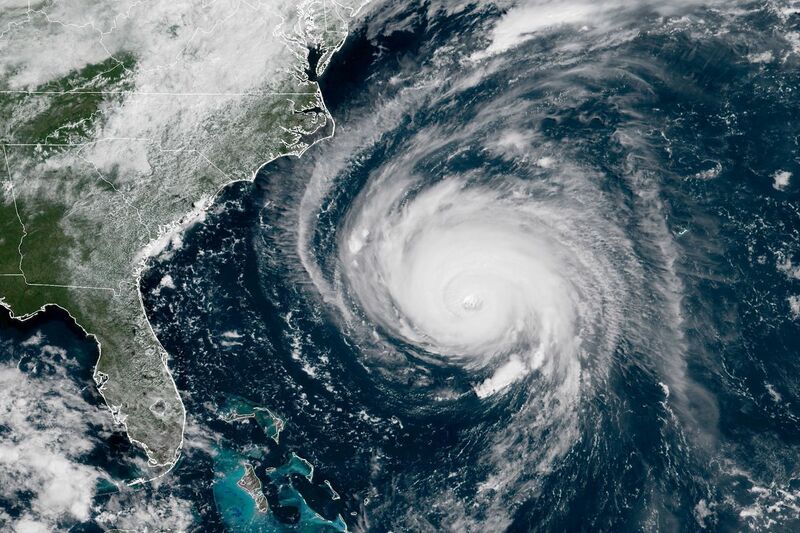 Hurricane Florence, which battered the U.S. East Coast in September, was worse than predicted. The four-day rainfall accumulation of nearly 36 inches, which was measured in Elizabethtown, North Carolina, is above the previous record for a hurricane anywhere on the East Coast. It broke the North Carolina record by nearly a foot. In the lead-up week before Florence made landfall, the media was full of stories about how as many as nine nuclear reactors could be in its path. According to Bloomberg News, out of the nine nuclear plants that were potentially in the path of Florence before the storm landed Friday, just one was forced to close. The Brunswick nuclear facility was the only one taken offline because of the Hurricane. 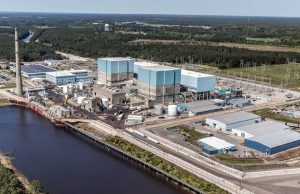 While there were concerns about access to the plant due to flooding in the wake of Florence, the U.S. Nuclear Regulatory Commission issued a statement on September 18, to reassure the public about the situation. This is the second year in a row that nuclear power plants were tested in the U.S. South during hurricane season. 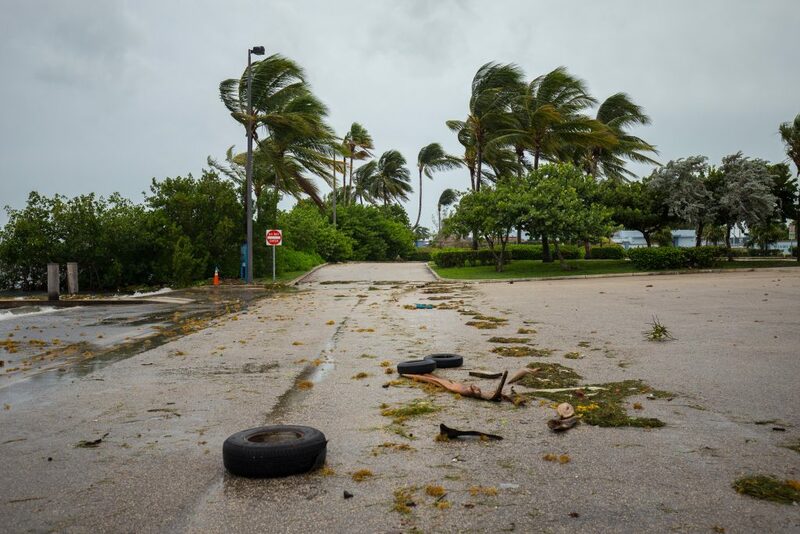 Last year, Florida’s two nuclear power plants withstood the fury of Hurricane Irma. Turkey Point and St. Lucie nuclear power plants which serve approximately 1.5 million customers are designed to withstand the natural force of such extreme events like hurricanes. Florida’s nuclear plants sit approximately 20 feet above sea level and are constructed to withstand the force of severe flooding and storm surges. Backup safety systems are also in place to ensure site safety. Concerns about nuclear power plants being affected by hurricanes makes great headlines, but because of preparedness, problems are averted. Ted Kury, director of energy studies at the University of Florida’s Public Utility Research Center, explained it best in a piece for The Conversation. According to Kury, utilities prepare for storms by inspecting power stations, securing equipment, testing backup pumps and generators and stocking critical supplies in case workers have to stay on site. The following letter from the Canadian Nuclear Association is in response to a recent story in Power Technology magazine. Your story “What are the most dangerous jobs in the energy sector?” (Sept. 6, 2018) greatly overstates the risks associated with working in the nuclear industry. When you consider death rates from air pollution and accidents related to energy production, nuclear has by far the lowest number of deaths per terawatt hours. In Canada, the Canadian Nuclear Safety Commission (CNSC) limits the amount of radiation nuclear workers can receive when they work in a job where they may be exposed to radiation. The effective dose limits are 50 millisievert (mSv) per year and 100 mSv over 5 years. According to the CNSC, studies to date have not been able to show any excess cancers or other diseases in people chronically exposed to radiation at doses lower than about 100 mSv. The average dose for workers at uranium mines and mills in 2007 was about 1 mSv, significantly below the regulatory nuclear energy worker limit of 50 mSv per year, and well below typical Canadians’ natural exposure of 2.1 mSv. Concentrations of radon in uranium mines, mills, processing facilities and fuel fabrication facilities are strictly monitored and controlled. Controls include sophisticated detection and ventilation systems that effectively protect Canadian uranium workers. For 50 years we have transported nuclear materials safely both internationally and in Canada. There has never been serious injuries, health impacts, fatalities or environmental consequences attributable to the radiological nature of used nuclear fuel shipments. The nuclear industry is also one of the most strictly regulated and closely monitored industries in the world. In 2011, one of the most powerful earthquakes ever recorded opened-up the sea floor and sent a wall of water rushing along the Japanese coast knocking out the Fukushima Daiichi nuclear power plant. Images of the devastation made international headlines and raised concern over the safety and preparedness of nuclear power plants in the event of a disaster. Recently, the government of Ontario announced that it is updating the province’s nuclear response plan. It will have a very solid and impressive basis on which to build. Although the risk of a tsunami-induced accident at Canada’s nuclear power sites is close to non-existent, being prepared for the unexpected has been at the core of the nuclear industry’s commitment to safety. In fact, within a year of the Fukushima accident, Canada’s nuclear operators took additional steps, including a full-scale emergency exercise that was hosted by Ontario Power Generation (OPG) at its Darlington operations. The exercise brought together emergency responders from all levels of government and OPG, to test accident readiness. Safety is a crucial pillar of success, and that is why the industry continues to add new measures to existing emergency response plans. As one example, OPG installed flood barriers to protect low-lying equipment in the event of a severe weather disaster. During the Fukushima event, an explosion took place because of a buildup of hydrogen. So OPG installed passive autocatalytic recombiners to limit the risk of a buildup of hydrogen should a leak ever occur. Bruce Power, Ontario’s other nuclear generator, has built upon its safety foundation post-Fukushima, making additional investments in a suite of back-up generators and fire trucks. A new Emergency Management Centre, equipped with its own back-up power supply was also set up, and last October Bruce Power hosted 500 people from over two dozen agencies to take part in a week-long emergency preparedness drill called Exercise Huron Resolve. This week-long exercise involved various industry partners and government including The Ministry of Health and Long Term Care, The Ontario Provincial Police, The Ministry of Labour’s Radiation Protection Services and OFMEM’s Provincial Emergency Operations Centre, which is based in Toronto. Outside of Ontario, in New Brunswick, the Point Lepreau nuclear plant recently conducted two large-scale emergency response exercises. A two-day simulation, in 2015, was conducted in partnership between NB Power and New Brunswick’s Emergency Measures Organization and this past May the company teamed up with the Canadian Nuclear Safety Commission (CNSC) to run through security emergency response exercises. It is important to point out that, prior to Fukushima, nuclear emergency response plans were already in place. In fact, the nuclear industry’s commitment to emergency planning has been in place since the operation of nuclear power plants began, over fifty years ago. Since that time, operators have continued to build upon best practices. While the geography of Canada makes it highly unlikely that an earthquake and ensuing tsunami, like the one that swallowed the Japanese coast, could ever occur here, we know that we must invest and demonstrate our commitment to planning and preparing for the unexpected. Our people are our number one asset, living and working in the communities they serve. Keeping our communities safe isn’t just part of our job it’s part of our community responsibility. One that we take pride in. Nuclear safety and nuclear security are often paired together. Indeed, they almost seem synonymous. On the CNA website, “Safety & Security” is a single section. And in some ways, it makes perfect sense. Nuclear safety and security have in common the aim of protecting people, property, and the environment. Safety and security measures have to be designed and implemented in an integrated manner to ensure synergy, and also in such a way that security measures do not compromise safety, and safety measures do not compromise security. However, there are some important differences that, at times, pit one against the other. Safety is enhanced through transparency. Greater openness and awareness of procedures, measures and facilities designed to strengthen safety serve to reinforce public confidence in the industry and increase the public’s understanding and acceptance of nuclear technology..
Security, conversely, relies on confidentiality in order to be effective. The best security measures are the ones that limit access to sensitive facilities, procedures and sources so as to reduce possible interference or attack by criminal or terrorist entities. In short, security is dependent on the extent to which information is kept from wider exposure. Though discussions typically group these two terms together, the reality is that there is a constant balance that must be struck between the openness of safety and the assurance of security. Some measures must remain confidential and protected in order to be effective in enhancing nuclear security. 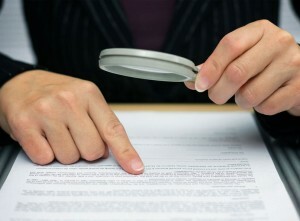 Yet, certain details must nevertheless be communicated so as to provide public assurance. Each part of the industry has a different balance to strike between safety and security. It depends on the range of threats, risks and potential impacts of the nuclear technology in question. There is also the recognition that transgressions can occur internally, as well as externally. Thankfully, the industry never rests on its laurels and is continuously working on finding new and better ways ensure safety AND strengthen overall security. Researchers at the University of Ontario Institute of Technology (UOIT) in Oshawa, Ontario, have been working with Ontario Power Generation (OPG) and Bruce Power to develop innovative solutions for nuclear power plant safety. The process is called Fault Semantic Network. Dr. Hossam A. Gabbar, who is a professor with UOIT’s Faculty of Energy Systems and Nuclear Science (cross-appointed to the university’s Faculty of Engineering and Applied Science), says the process will allow nuclear plant operators to truly understand potential fault possibilities and how best to prevent them. Dr. Gabbar and students have been developing computer models that use real-time utility data and simulate problems, or “faults,” at nuclear power plants. This model-based approach can be implemented in parallel with a real plant. It is expected to enhance system performance by improving plant safety. “This will enable operators like OPG and Bruce Power to actually model the fault and model the problems in critical equipment and identify what are the protection barriers or layers and what is the probability of different faults,” Dr. Gabbar said. Dr. Gabbar and his students have done a number of case studies that simulate things such as steam generation faults and steam pressure faults. Canada’s nuclear power operations have a proven track record of being among the safest in the world. They are highly monitored, stringently regulated and continuously improved through the daily efforts of qualified professionals who are committed to ensuring public safety. In keeping with the industry’s philosophy of continuous improvement, new methods and enhancements to existing methods are being developed in the areas of systems analysis, accident causation, human factors, error reduction and measurement of safety performance. Using Fault Semantic Network (FSN) for troubleshooting faults in CANDU reactors will only build on the current knowledge and improve safety in the future.